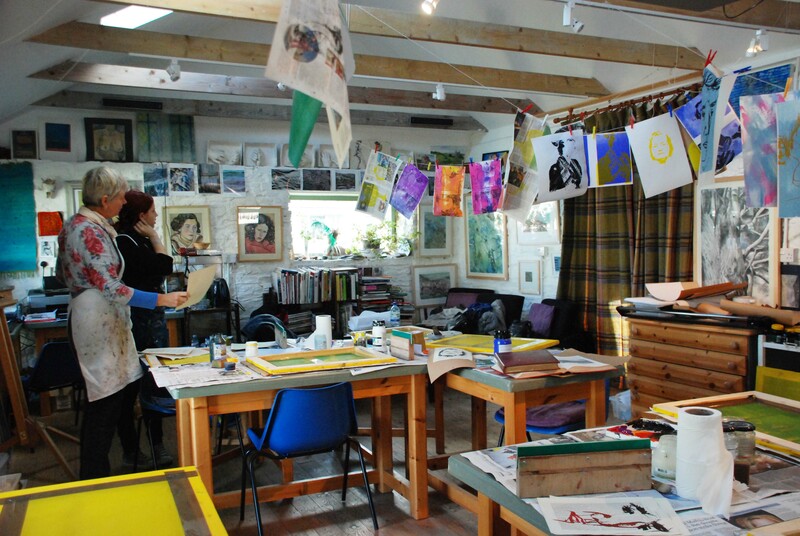 Six students together with teacher Mrs Fiona Taylor spent the day silk screen printing. Each student designed their own image which was processed in the darkroom to permanently fix the design onto the screen. One student first drew her image, then stitched over the drawing which was scanned into our computers and then printed out onto clear acetate. It was then exposed onto the screen in the darkroom. The lines in her finished prints looked exactly like stitched lines! Using a photographic silk screen process doesn’t necessarily mean using a photograph, drawings also work really well. Other students used their own photographs to make colourful prints, each one unique!